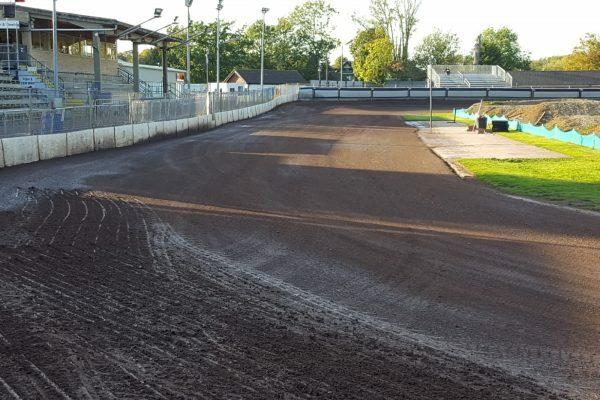 Speedway tracks are oval and vary across the country. They are covered with shale, a surface which allows riders to power slide around the corners in spectacular fashion. 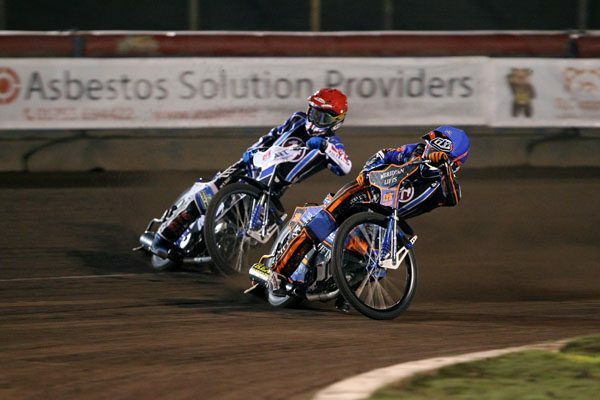 Typical Speedway league racing is run between two teams over 15 heats (or races) which each consist of four laps. 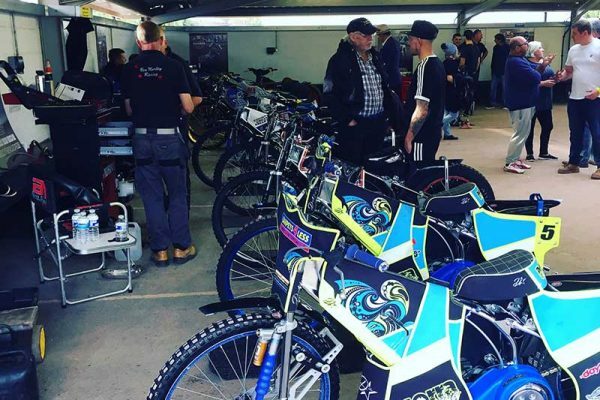 Each team has 7 riders with 2 riders from each team taking part in each heat with a simple objective – to beat the opposition and get to the chequered flag first! 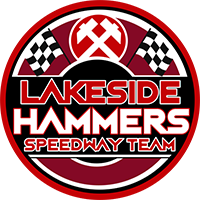 The Hammers riders are identified by red and blue helmet colours and their famous crossed Hammers racesuits. If a rider wins a race he earns his team 3 points, 2 points for second and 1 point for third. In addition to club racing, an individual world championship Grand Prix takes place throughout the year at some of Europe’s leading venues. 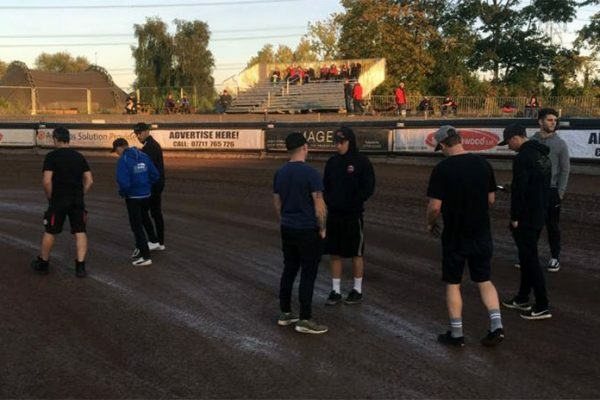 Rye House Stadium is located a short walk from Rye House Train Station. To view a range of travel options to the stadium, please click here. There is a free car park outside the stadium. Entrance is via the main turnstiles which are adjacent to the fourth bend. Disabled access is via a large gate next to main turn styles. Covered seating exists along the main home straight, with additional raised seating located overlooking the first/second and third/fourth bend. Unlike Football stadiums, you are welcome to wander around the whole stadium to view the racing from different vantage points. A licensed bar is situated within the main grand stand on the Home straight along with numerous food outlets, including Fish and Chips which are freshly cooked on site. The pits, which are situated at the end of the home straight are accessible to all up to 6pm on a race night. Fans are very welcome to get up close to the bikes, and to have a chat, take a picture or get an autograph with one of the riders. Both teams walk the track ahead of the meeting to check the surface and track preparation, which also determines the set up of the bike. Each race starts on the Home straight – it’s worth watching the action from near the tapes to see the speed, and at the entry to the first bend, to experience four riders riding flat out. Our meeting Presenter provides the line-up of each race and the result after, to allow fans to update the scorecard in their programmes. 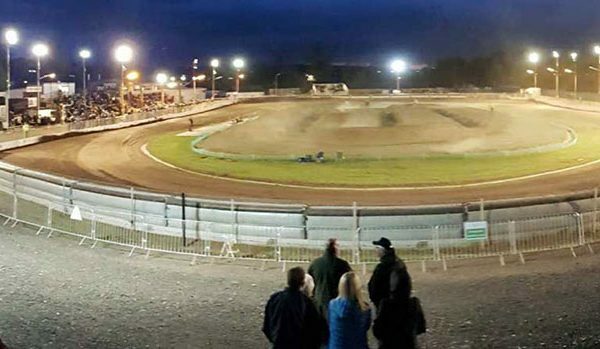 Speedway fans are a friendly and knowledgeable bunch, if you do have any questions during the night do ask!